Nothing you wear is more important than your smile. So, why settle for anything but the best? UNOBRUSH is the world’s smartest toothbrush that cleans your pearly whites — and 99.9% of your entire mouth. I know, I know. It sounds too good to be true. But, the patent-pending 360-degree wrapping UNOfoam, pulsing sonic vibrations and ergonomic mouthpiece make the UNOBRUSH the sharpest tool in your oral-hygiene toolbox. The UNOBRUSH team has put their money where their mouth is and can back all their claims up 100%. For example, the patent-pending medical-grade sponge-like material that they developed — UNOfoam — is optimized specifically to offer the best in oral hygiene, and had been put through several clinical trials and hundreds of material tests. If you need something else to smile about — you’ll love hearing that the UNOfoam was developed using advanced 3D tooth mapping technology to achieve a one-size-fits-all mouthpiece. In addition, to ensure your smile is as healthy as can be — they’ve outfitted the docking station with a UV light that sanitizes your UNOBRUSH after every use. 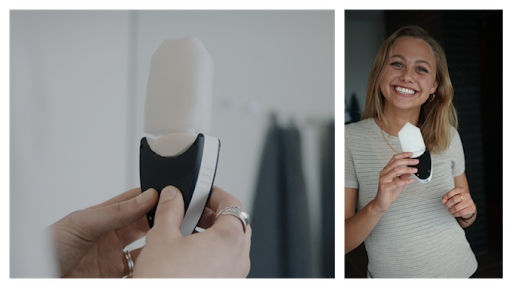 If you want to improve your oral health with the next step in oral-care evolution, head over to the UNOBRUSH KickStarter page and check out your options, starting from $10 for a 5-pack of UNOFoam.